The rich data available to online retailers has long been the envy of brick-and-mortar retailers. 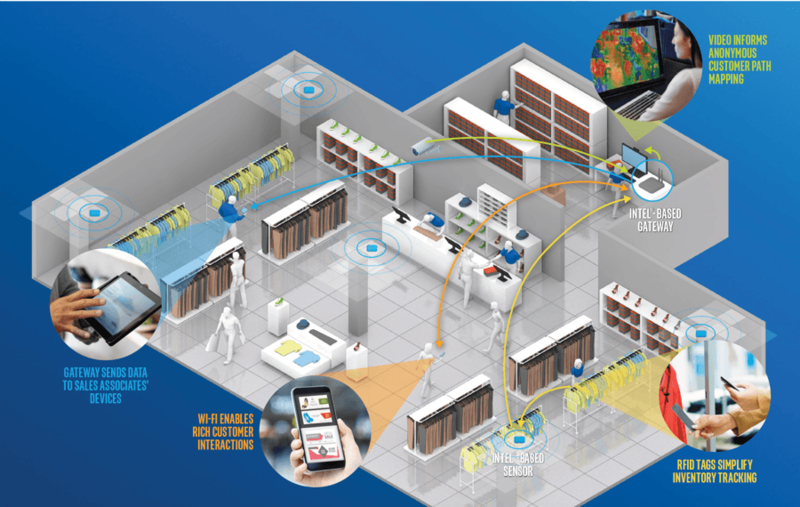 Now, thanks to advances in RFID tracking, physical stores can achieve a level of visibility that was once possible only in the digital domain. 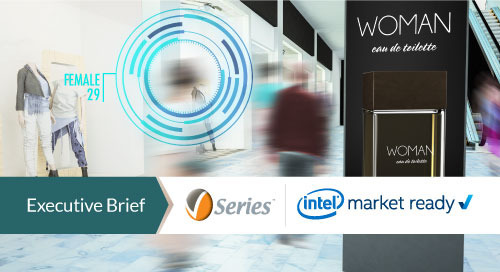 These new RFID trackers enable a unified commerce system that can track in-store activity and inventory, analyze online activity, and combine the data onto actionable intelligence. In this way, retailers can optimize their entire operation, from their physical stores to their supply chain to their ecommerce presence. But getting to this model has a number of challenges. Assets must be tracked using low-cost, low-power sensing technology. 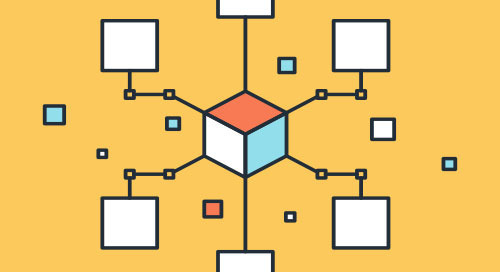 A central hub or gateway is needed that can communicate with and aggregate the data from the tracking system, while connecting to the back-end servers and to the cloud. 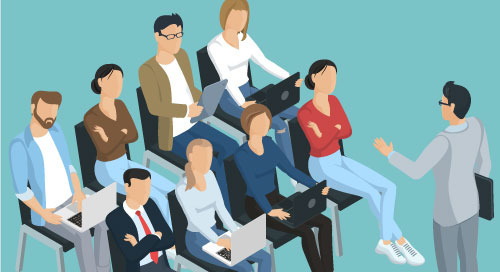 Then the right analysis and presentation software must be developed to analyze both merchandize status and movement, as well as customers' online and e-commerce activity. 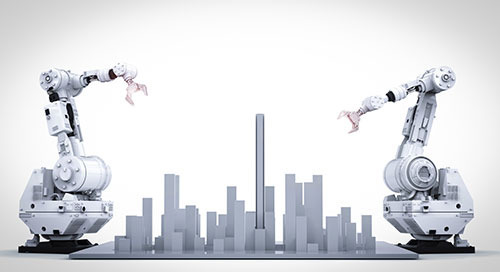 Designers of such a system are also challenged to make it all work cohesively, with interoperable hardware for a seamless rollout that can scale with the business across multiple locations, globally. If done right, the opportunity for improvement to the bottom line has already been quantified. According to McKinsey & Company, inventory distortion, in the form of overstock, stockouts, and shrinkage, represents a nearly $1.1 trillion issue for retailers worldwide. Another study, this time by Marianne Wilson, showed that inventory shrinkage alone is a $42 billion problem for retailers in the U.S. That represents nearly 1.5 percent of total retail sales. Savings on the bottom line can help make physical retailers more competitive as they optimize for both the physical and online worlds. While there are many ways to track an asset, including GPS, Wi-Fi, and Bluetooth beacons, the sensor tags ideally must be disposable items. This requires the use of passive RFID tags, which can be made for a few cents and for which there is already a large infrastructure of support, from companies like Impinj. 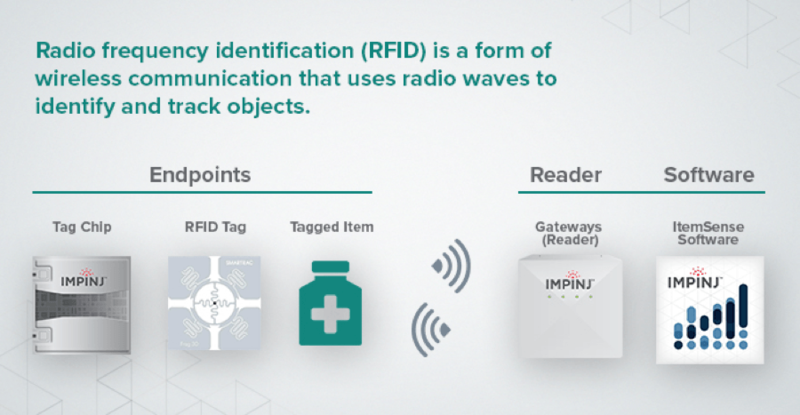 Passive RFID takes advantage of the fact that transmitted RF energy from a reader can be harvested by a transponder tag that comprises little more than a simple antenna and impedance-matching components (Figure 1). The energy picked up by the tag can provide enough power to activate an optimized IC with memory. This reflects back a small amount of data, such as a tag's electronic product code (EPC) ID (Figure 2). The typical system has a range of 15 to 30 feet. In Impinj's RAIN RFID system, each chip has a tag identifier (TID) that is unique to the chip manufacturer. 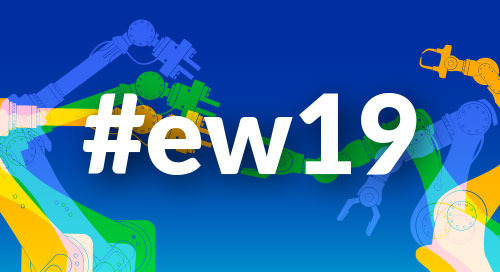 The memory stores the EPC, which takes the form of a 96-bit string of data specific to the asset or merchandise, as well as the tag itself. This process of interrogating a tag can also be used to detect its location. The received signal strength indicator (RSSI) feature on the reader can tell the relative position of the tag by the strength of the signal. If it's weaker than when previously interrogated, it's moving away; if stronger, it's moving closer. This one-reader, one-antenna method can't provide absolute location information, but by using phased antenna arrays and multiple readers in a store, the absolute location of a tag can be found to within inches. 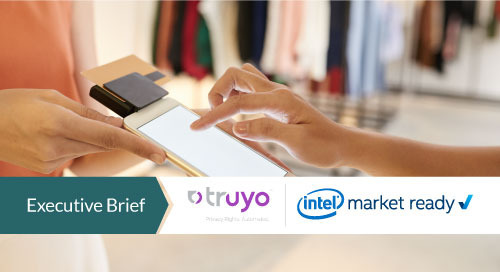 Indeed, this multi-reader approach is at the heart of the Intel® Responsive Retail Platform (Intel® RRP) shown in Figure 3. In this architecture, each reader connects back to the main hub, or gateway, which connects the network to a back-end server where local analytics can take place. The data can also be sent to the cloud for further analysis across a retailer's full supply chain. There are a number of key attributes to accommodate when designing or selecting a gateway through which to aggregate and deliver the data. 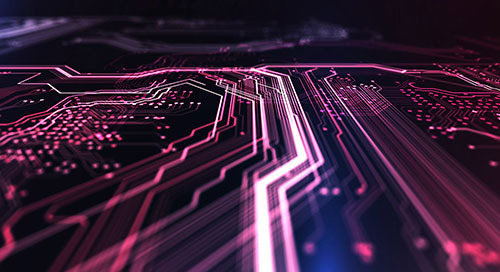 These include security, various high-speed wired and wireless interfaces, including gigabit Ethernet and Wi-Fi, as well as scalable processing and memory capabilities so the gateway can scale along with the assets as stores grow. The gateway is also the hub for video connectivity and so must also be able to accommodate that. The communications aspect is critical, as users in the store can get real-time updates from the retailer directly over Wi-Fi or Bluetooth in the store, as well as over the cellular connection. Once the network is in place, and is implemented with interoperable hardware and software interfaces, the next step is to leverage store and online user data for a cohesive user experience. Making sense of the incoming data and combining it with online data about the user requires special attention as it is here that the right analysis software can make a difference by developing a full picture of the store and customer activity. 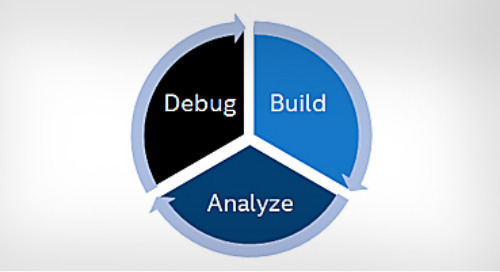 To enable this effectively, Detego has developed the Detego Software Suite. 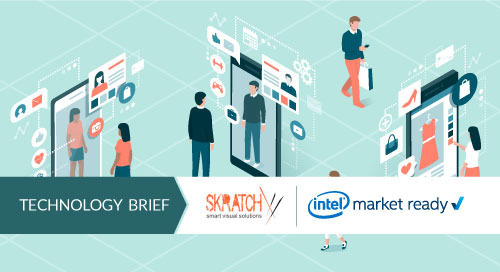 The suite builds on the Intel® RRS platform—which as noted earlier incorporates an advanced analytics platform designed to optimize customer engagement by capturing as much data as possible. 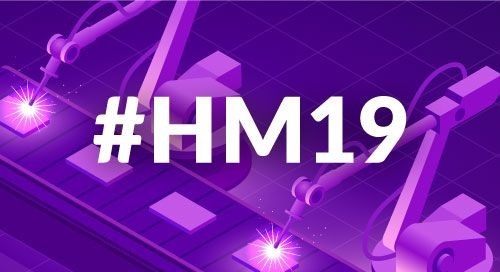 Importantly, the platform can be deployed quickly, and is supported by a broad ecosystem to ensure the necessary reliability, performance, and scalability are available. 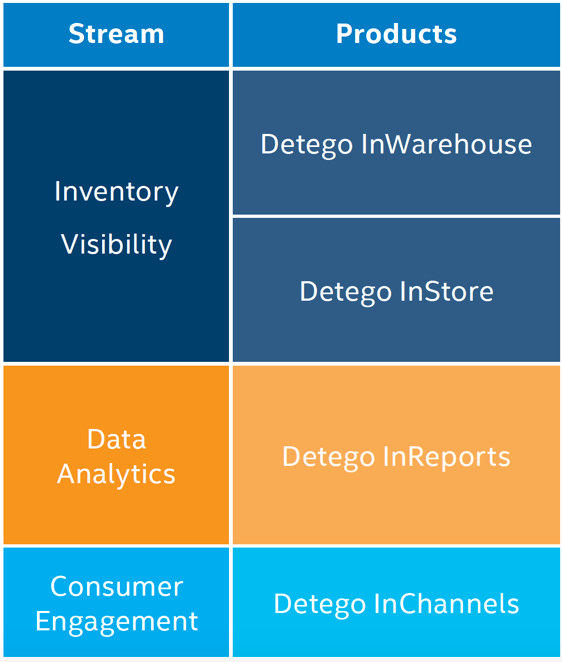 Detego uses this technology to enable its suite of software products, two of which – Detego InWarehouse and Detego InStore – focus on Inventory Visibility (Figure 4). This lets store managers know which items are available and where they are at all times. The other two elements focus on Data Analytics (Detego InReports) and Consumer Engagement (Detego InChannels). With Detego InReports, proprietary algorithms turn the real-time data from the RFID tags into store key performance indicators (KPIs). Dashboards are used to view analytics, provide alerts, and provide recommendations to simplify decisions on restocking, discounting, merchandising, and other product management tasks. The third part of the suite, Consumer Engagement, is what really separates Detego's solution from other software and systems using RFID. This tool links consumer behavior in stores with their e-commerce activities, and so enables the "Holy Grail" of unified commerce. 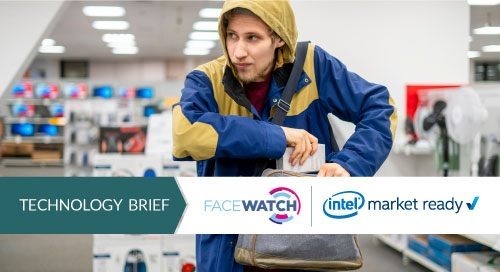 The Detego approach is enabled by the Intel® Responsive Retail Platform (Intel® RRP). 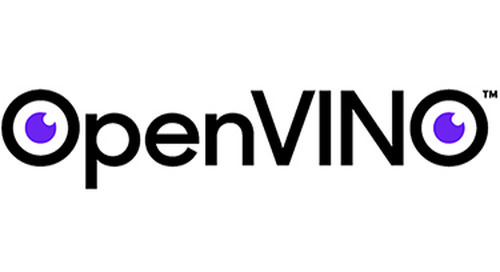 This is an advanced analytics platform designed to optimize customer engagement by capturing as much data as possible. In a two-week campaign, Detego has already shown how the software can perform as expected. It's important to note that the system works with any auto ID technology: visible, hidden, or built into the fabric of the merchandise (to prevent counterfeiting). 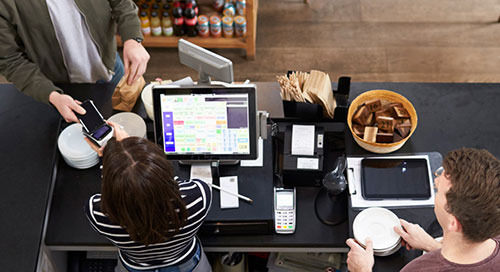 With the software and underlying hardware and ecosystem support, retailers can turn data in physical stores into actionable intelligence that can allow them to iteratively optimize the store and online user experience, in real time.